It looks like the Blacklist is going to finish off their fifth season with a bit of fun and two guest stars. 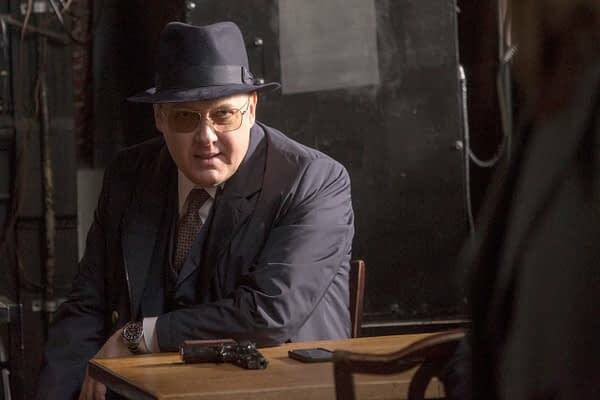 The series which stars James Spader as criminal mastermind Raymond Reddington and Megan Boone as FBI special agent Elizabeth Keen has had some great guest stars during it’s run including John Noble, Ron Perlman, Nathan Lane and Paul Reubens. Well, according to EW.com, the finale will have both Julian Sands and John Waters in it. Actor, writer and director Waters will appear as himself in a scene where we reportedly see that he and Red have a similar yet unique sense of style. Sand on the other hand will play Sutton Ross, a corporate spy specializing in stealing valuable research. Ross believes that Reddington betrayed him years ago during a very sensitive business deal and has wanted revenge ever since. Now the cutthroat and clever Ross has the opportunity he’s been waiting three decades for. Reports says the finale will feature other surprise returning faces as well, but those roles are being kept under wraps. The Blacklist airs Wednesdays at 10 PM on NBC. The season finale is not yet scheduled, but could air as early as May 16th.